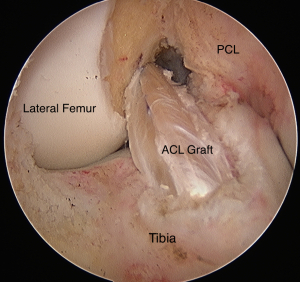 Torn ACL Surgery (Part 2): How? (Video) - Jeffrey H. Berg, M.D. 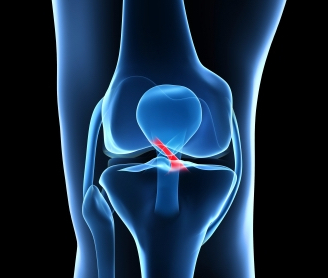 If you’ve been following my earlier posts on Anterior Cruciate Ligament (ACL) tears, hopefully you have learned quite a bit about their anatomy and causes as well as the symptoms and diagnosis. In the first part of this series on torn ACL surgery, I also discussed why surgery may be needed and when it should be performed. In this second part, I will review how the surgery is performed and what you can expect before and after your surgery. These are my recommendations. Your surgeon may have different ones. Be sure to understand and follow your surgeons expectations. A little about Graft options…. There are four potential grafts that may be used. They can be either autografts or allografts. Autografts come from the patient’s knee. Allografts come from donors who have previously died. Like most things, each of the grafts have potential benefits and areas of concern. Which graft is best is based on a weighing of these variables. We will discuss the risks and benefits of each graft type in this post. In short, Allografts have a small risk of transmitting infections from the donor to the patient and a higher risk of graft failure. Patellar tendon and hamstring autografts have similar postop stability levels with patellar tendon grafts having slightly greater adverse affects (kneeling pain, kneecap fractures and kneecap joint OA). Quadricep’s tendon autografts provide good stability with low level of adverse issues but are used much less frequently than the others. Because of the high success rates and low complication rates, I prefer Hamstring autografts for most of the torn ACL surgeries that I perform. Different sports medicine surgeons may have different postoperative protocols after torn ACL surgery. For instance, on the occasion that I use an Allograft, because of concerns for slow “incorporation” and ultimate failure of the graft, I will slow down my postop program. Below I have detailed my usual postop regimen. You should discuss your recommended protocol with your surgeon. 6-9 months: Progressively return to sports and other pivoting and jumping activities. Delaying return to sport closer to 9 months is safer. These are only guidelines. I will often individualize this regimen based on symptoms, progress and other factors. There are a number of different ways to achieve the same results. Torn ACL surgery is no different. Some of my colleagues may choose to do things slightly differently than I do. For more about the variations in techniques that you may hear about, you might wish to read another of my posts about this topic. You may also wish to view the recommendations of the main Orthopaedic Organization (AAOS) as well.